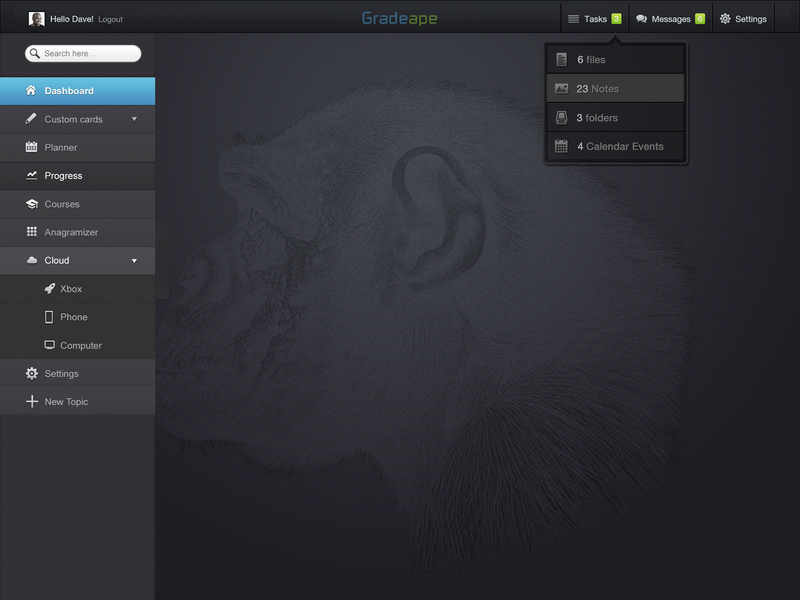 GradeApe is the missing link between you and a better GPA. 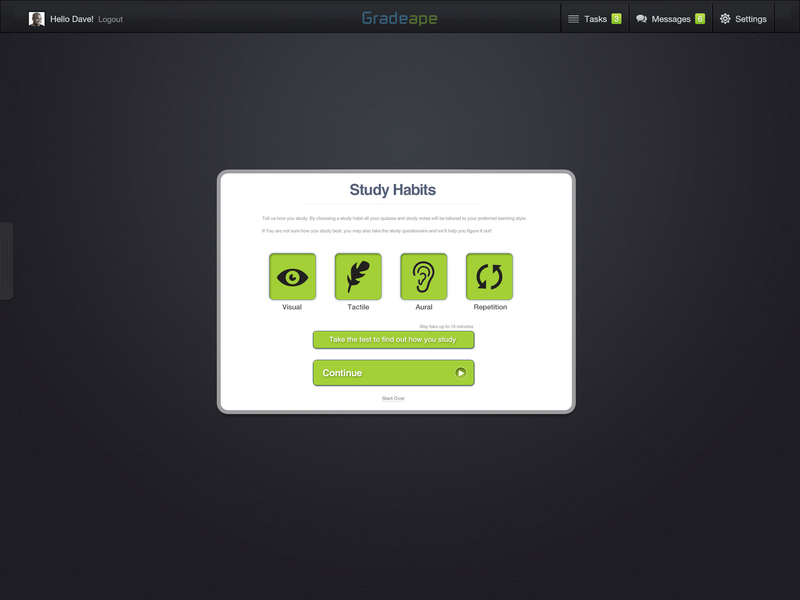 The Missing link between you and a better GPA. Keep up to date on all your courses. Share notes with students. Create study quizes and upload them to your course. Never be out of the loop if you go home sick again. 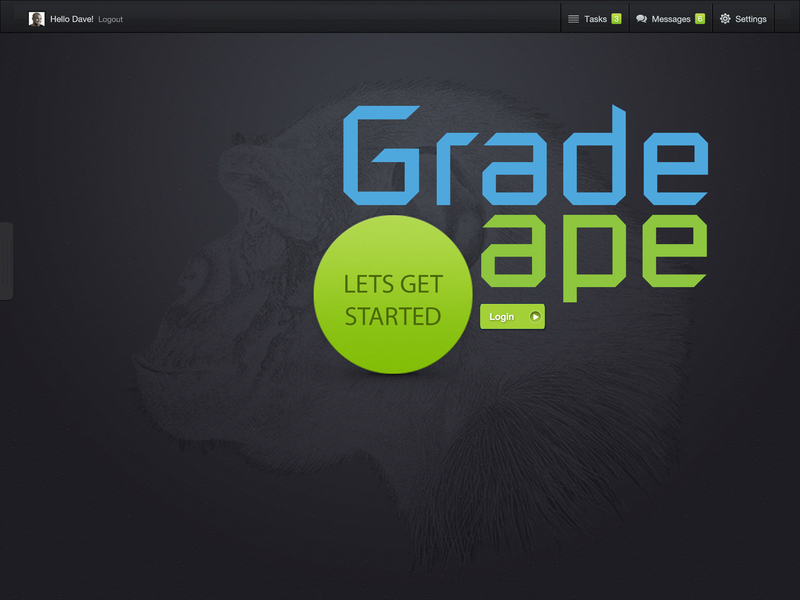 Grade Ape is an Multiplatform app to study and communicate with teachers and fellow students. Get stuck and can't seem to remember that one fact or term for the test coming up? No sweat. 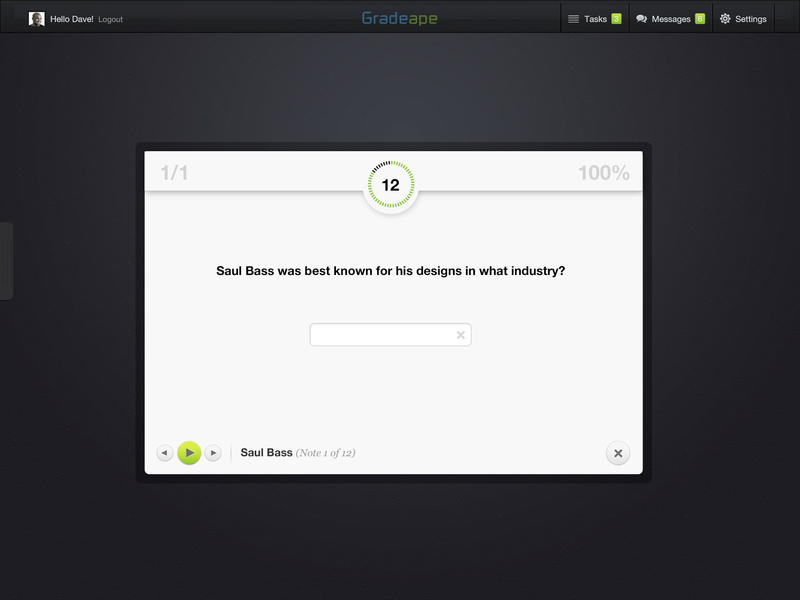 Use GradeApe's anagramizer. It will take the terms you need to remember and generate a clever anagram to help you study. You can even take your created or saved anagrams and upload them to the cloud so your fellow students may use them as well. 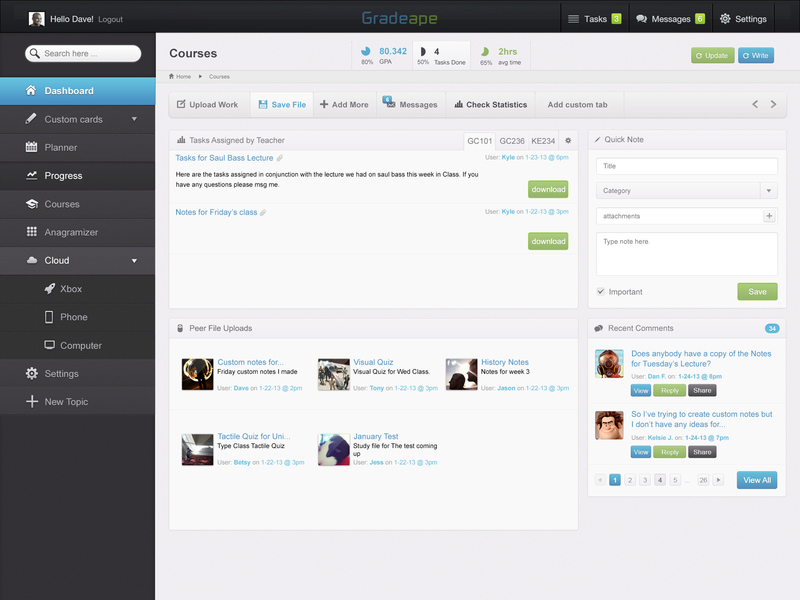 The Course section of GradeApe is your classroom hub. From here teachers can assign tasks for students or upload files for the class to download and save to their devices. Students may also converse with each other when they need help studying or finding notes. 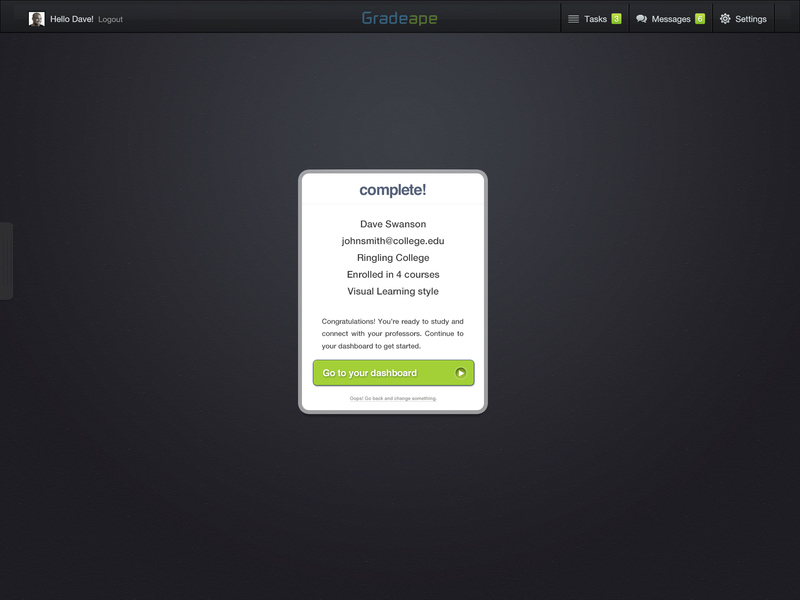 Even better, students can upload their own notes and quizzes to the course so their fellow students can use them. Never Miss an important point in class again! A drop down and tab menu style provides for a clean and easy to navigate workspace within the app. Test yourself by creating or taking quizzes. 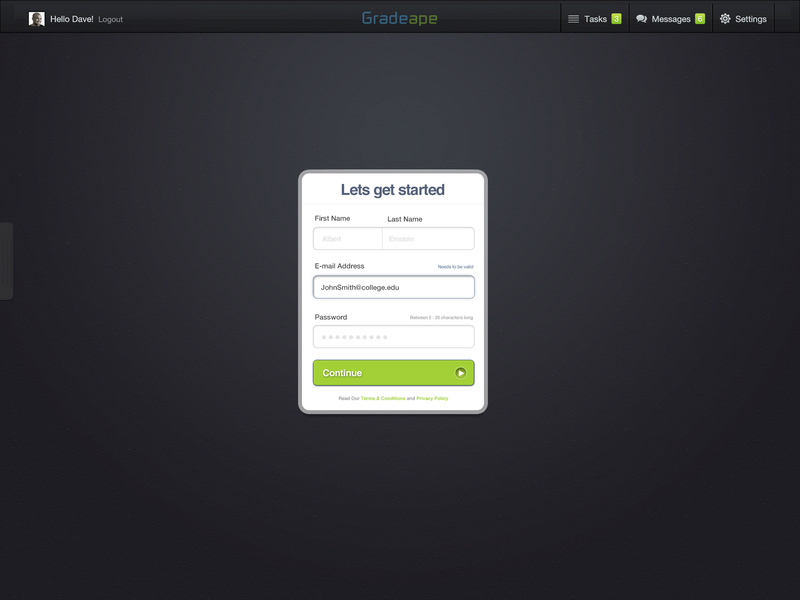 GradeApe will track your progress and provide feedback. See how you're doing at all times with the Progress checker. Always be aware of where your weak spots are in your studies so you can adjust accordingly. 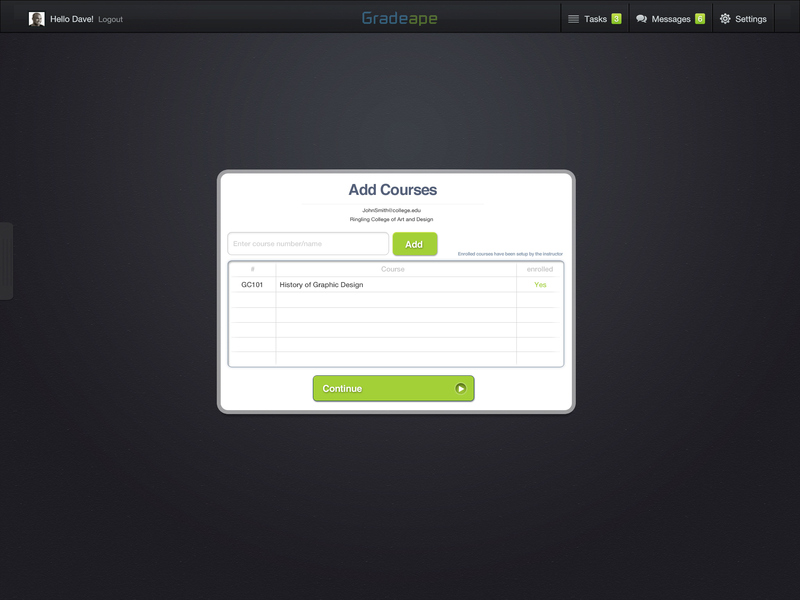 Easy new user setup system provides a streamlined process so that you get to your studying faster. Not a visual learner? that's okay. 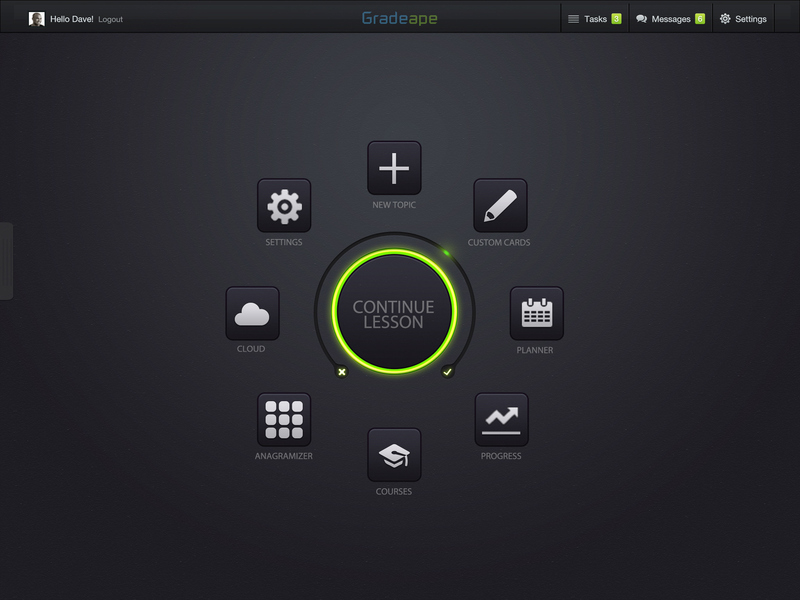 With GradeApe you have the option of choosing how you learn best. 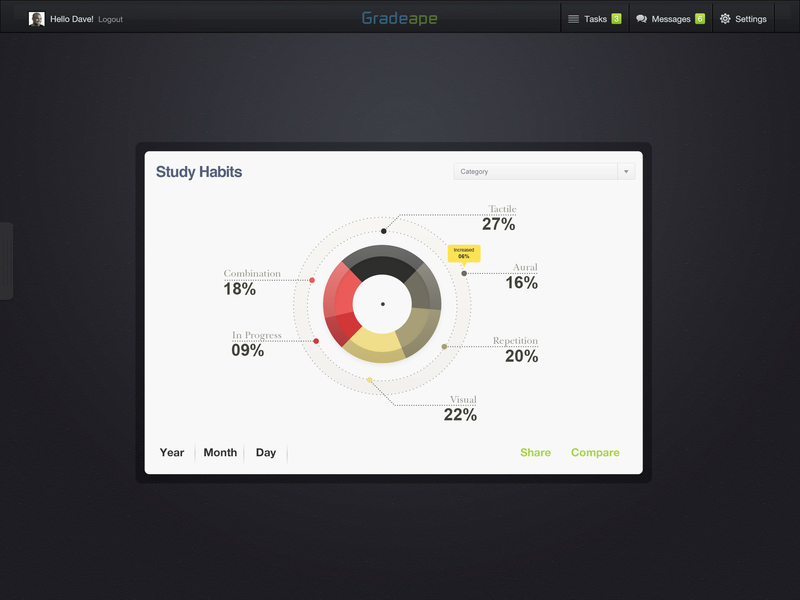 GradeApe will tailor your learning and quiz experience accordingly. Not sure how you learn best? No worries. 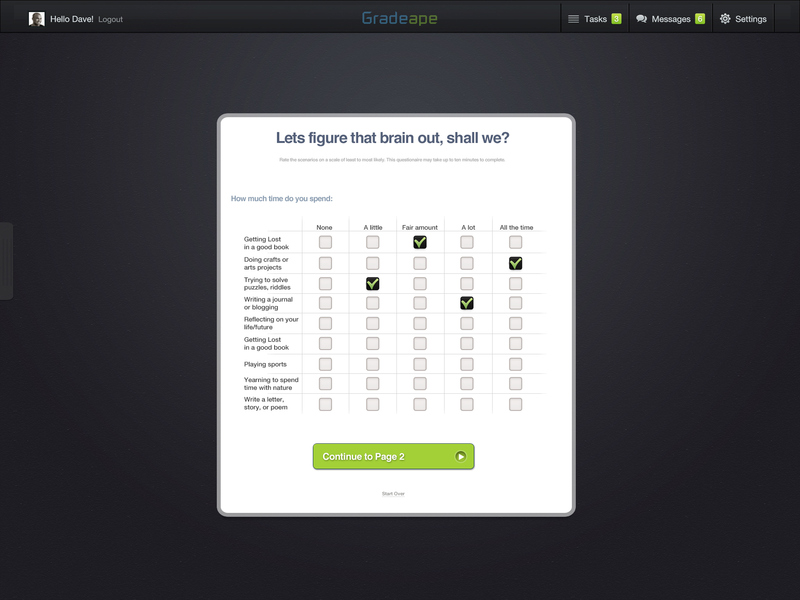 With GradeApes brain quiz you can take the time to figure out how you best learn.